Anthony Johnstone teaches and writes about Federal and State Constitutional Law, Election Law, Legislation, and related subjects. Professor Johnstone has testified before the United States Senate Judiciary Committee and his legal work has been featured in the Los Angeles Times, The New York Times, The Wall Street Journal, and The National Law Journal, which named him its Appellate Lawyer of the Week in May 2012. 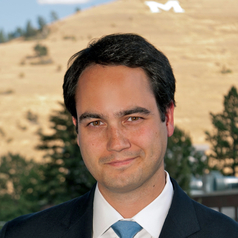 Before joining the School of Law, Professor Johnstone served as the Solicitor for the State of Montana, practiced litigation as an associate at Cravath, Swaine & Moore in New York, New York, and clerked for the Honorable Sidney R. Thomas, United States Court of Appeals for the Ninth Circuit. He holds a B.A. from Yale University and a J.D. with honors from the University of Chicago Law School.